Historical – record of transactions that have taken place. Projecting (future) – shows the future financial picture of a budget. Revenue: What was the revenue amount achieved per month and for the year. What part of the revenue was received as cash and what part is still owing to the business? Who bought from the business, what did they buy, when did they buy and when did they pay? How did these transactions appear in the profit & loss or income statement, cash flow statement and balance sheet? Expenses: What were the expense amounts incurred per month and for the year. How much of the expenses that were incurred have already been paid and what potion is still owed by the business? What were the expenses incurred by the business, when were they incurred and when were they paid for? All these transactions will be shown in the historical accounting records and will impact the income statement, balance sheet and cash flow statement. There are two aspects to business accounting. The historical aspect which records transactions prior to a given date i.e. have already taken place, and the budgeting and forecasting aspect which projects the financial picture of the business into the future. In the same way as transactions that have already occurred are recorded in the accounts, the budget can be used to predict the financial statements that will be achieved in the future. What are future revenues and expenses; when will customers pay, and when will the business pay it suppliers? All the assumptions used to create a budget can be used to predict a future income statement, balance sheet and cash flow statement. There are software programs available that facilitate creating the budget and using it to predict future financials. For a good example, see Visual Cash Focus. Financial accounting refers to the financial statements that are released to the public regularly. They are a record of the historical accounts of the business prepared according to generally accepted accounting principles. They show the financial position of the business. They can be used to see how the business has performed over time and to assess if the business is in a sound financial position. 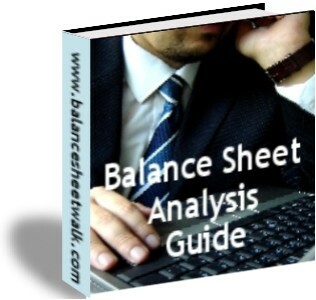 The main statements released publicly are the balance sheet and the income statement. A cash flow statement is also usually included. A management report (e.g the annual report) is also provided. Management will have a set of financials that they use internally, but when the information is released to the public, it must be presented using the standard generally accepted accounting principles. “Accounting” is the recording and reporting of the financials of an entity. It exists to provide information internally to management and staff and externally to interested parties. The generally accepted accounting principles define assets, liabilities, expenses and income in business accounting. These principles also define when these can be recognized to ensure consistency, relevance, reliability and understandability. They provide rules for drawing up the financial statements and accompanying notes. The financial statements specified include the income statement, balance sheet and cash flow statement. The objective is to provide a set of reports to the public that fairly represent the financial state and performance of the reporting entity. They should be prepared in a consistent way across reporting periods. Items should be fairly stated, neither under- or over-stated. The accounting principles exist to give confidence to readers that financial reports and commentary are fair and just representation of the financial position of the reporting entity.